AMI has released EMscribe® Dynamic Search, a medical term and coding search tool that is the only system on the market which leverages the constantly changing and often informal medical terminology used by physicians on a day to day basis. There are over 141,000 ICD-10 codes and approximately 7800 CPT codes in the official corpus of medical terminology and code sets. Medical practitioners employ a large range of terms when referring to medical conditions and procedures and when searching for a correct code, exact matches almost never happen. Physicians are constrained to use the existing codes and terminology in their EMRs, and they are faced with the daunting task of selecting from the limitations of these terms which can be quite difficult and confusing at times. Errors in medical term and code lookup are inevitable as is evidenced by the frequently cited error rates amongst medical coders of 20 to 30 percent along with the frequency of reimbursement denials received from finance. 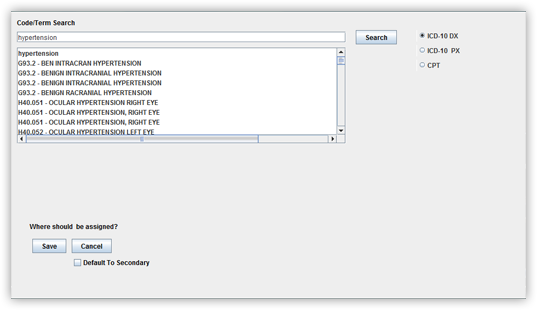 EMscribe DynamicSearch is unique because its search capability not only searches the standard corpus of medical terminology in the public domain, but also retrieves the colloquial expressions used daily by clinicians when documenting and treating patients. The data comes directly from AMI’s global dictionary used by its Computer-Assisted Coding (CAC) application to capture medical terms and associated codes nationwide. The dictionary is constantly updated to account for and assimilate site specific terminology such as slang, abbreviations and other unique medical terms not found in the traditional coding and medical textbooks. The search tool works like popular browser search engines and pulls in new data daily to the existing medical term data repository which contains millions of terms and is constantly growing. The result is the most extensive, continuously updated and dynamic medical term and coding system lookup for all levels of healthcare.